Overall the research groups will operate synergistically in order to achieve the final objectives of the working program. From the capacities of each partner and their previous collaborative work it can be determined that complementarities and synergies are really present on this partnership. 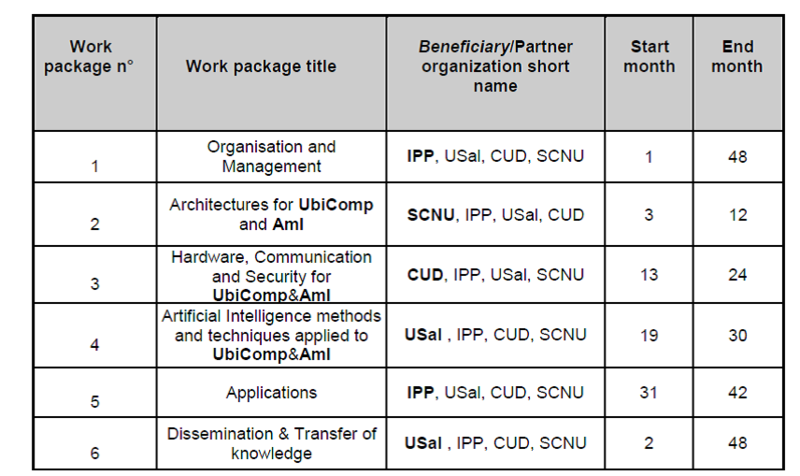 The selection of the partner organizations by their work area and previous collaborations and the integration in the several WP are focused on achieving the objectives of the exchange program.